At your first visit, whether its a Free Mini Consultation or Your Personal Dental Consultation, we focus on listening. We don't rush, we want to help you. Whether you are testing the water with a Free Mini Consultation or you are coming for Your Personal Dental Consultation, you are our focus and we listen! We don't rush you into anything as we want to help you find the best solution for your dental care. The first time that we meet you is a crucial step, because we believe that this is the most important visit to the dentist that you will ever have. The truth is that too often in the UK this visit is frequently rushed and often late and we don't want you to leave feeling disappointed. At your free mini consultation, you will meet our friendly team and have the chance to ask whatever you want to ask. Richard Hellen BDS, our lead dentist will meet you and carry out a simple examination if you wish during which you can discuss anything you like on an informal basis. Richard is absolutely passionate about breaking down the barriers that some people have towards good dental care. He has a unique way of simplifying the most difficult problems in dental care. A simple £20 deposit secures your booking and we'll refund it to you when you attend for your visit. If you like what you see, you can then book to come back for Your Personal Dental Consultation. Book your Free Consultation or Your Personal Dental Consultation Today! Your Personal Dental Consultation is the start of your new patient journey with us. Whether you are joining us for long term care, or for a short term course of cosmetic or health based treatment, this is the start. We take a relaxed and consistent approach to caring for you. At your appointment, Richard will take time to listen to your personal story. He will then thoroughly examine you, checking the inside and outside of your mouth for tell tale signs of your dental health. We are always happy to discuss the appearance of your teeth and your smile if this is something that concerns you. We will discuss and describe in a zero-jargon manner any treatments that we would recommend to get you back to the best dental health. We then suggest a bespoke preventative care plan to keep your mouth as healthy as possible for as long as possible. Healthy teeth for life is the name of our game. If we think that it will be in your best interest, we'll arrange to see you for a free second visit (we call it a case presentation). This gives us time to have a think, to maybe check out your digital scan, your digital radiography, your clinical photos, your dental records and compile a personal life long dental plan for you. This is the gold standard in Cumbria's dentistry world and it's what we are here for. What happens at Your Personal Dental Consultation? Upon your arrival at York Place Dental, you'll meet one of our welcome team. Over a fresh cup of tea, coffee or a soft drink we'll collect or update your medical, dental and personal information. If you want to come early, please feel welcome to use our free WiFi internet connection. You'll be introduced to your dentist and you'll be given all the time that you need, to find out what you want to know or ask questions about your oral health. We'll then painlessly carry out what we believe will be the best and most thorough dental examination that you will ever have! We are quite proud of the fact that you don't actually sit in a dental chair to start with - because we think that this makes things easier for you. We carefully note everything that we see and everything that you tell us, and record it onto our secure computer system. You! Dental care should be all about relationships and we like to get to know our patients as people. Your medical history and your current medications-bring a list with you. Any dental problems you may be having. The health of your jaw joints and facial muscles. The health of the skin and soft tissues inside your mouth. Every surface of every tooth for decay, cracks and stains. Your gums and tissues that support your teeth for health and signs of gingivitis and periodontal disease. Your teeth for signs of wear and tear. The appearance of your smile and ask if you have any cosmetic issues.We take digital x-rays and scans. We digitally photograph everything. It's the best way to record what we see and to plan your dental care. Once complete, we play back your scan, x rays and photos and discuss our findings in simple, easy to understand, language. We firmly believe that you cannot make a decision about your dental care if you don't completely understand what it's all about. Finally, we take you to our cosy little office (we call it the Little Room) and our trained treatment coordinator helps you with whatever is necessary. It could be to explain again what the dentist told you, how much you will need to invest, to book your appointments, to arrange a finance plan, anything. Think of them as your Concierge service. Of course, you will always receive a written quote, and where necessary, a full written bespoke dental treatment plan. To book Your Personal Dental Consultation, ring us on 01228 580490, or click here. We understand that cost of dental care and good oral hygiene can be a big issue for many people. We have developed a variety of payment options to help you to budget for your dental care. Our Membership Plan gives you peace of mind and helps to budget for your preventive dental care. We find that a second appointment is often essential in these cases, so that we can take time out to create a bespoke plan for you and then meet you again to discuss it. Normally it is free of charge, but if any charges are payable we will explain why at your first appointment. Painless dentistry for our patients is very much a reality in the right hands. Unfortunately, many of our patients have had a painful dental experience in the past, which is the most common cause of dental anxiety or phobia. At York Place Dental, our experienced team are skilled in using the right techniques and latest equipment to offer you genuinely pain-free dentistry. 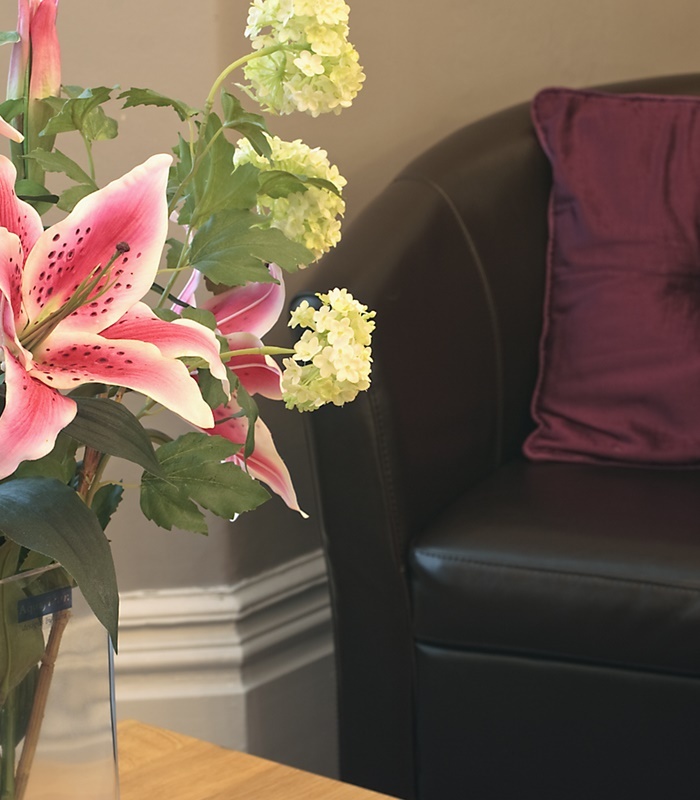 If you are anxious about any aspect of your dental treatment, please let us know so that we can work together to give you an altogether more positive and relaxing experience. Believe us when we say, we would love to bin the dental drill. Although sadly this is not yet possible, it’s a good principle to remember and one we work by wherever possible. Using modern materials and methods, we leave you with as much natural tooth as we can because, as beautiful as our restorations are, we recognise that we can’t better Mother Nature. We always plan your treatment with this in mind, giving you the benefit of strong, natural-looking teeth that we know are more likely to remain healthy for longer. Remember, you are always welcome to discuss any aspect of your dental care at any time. By knowing what is important to you, we can provide you with the dental care you need.